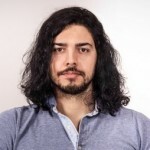 Mint Labs has created a cloud-based neuroimaging platform with data management, analysis, and 3D visualisation capabilities, using advanced MRI technology to look inside the brain. 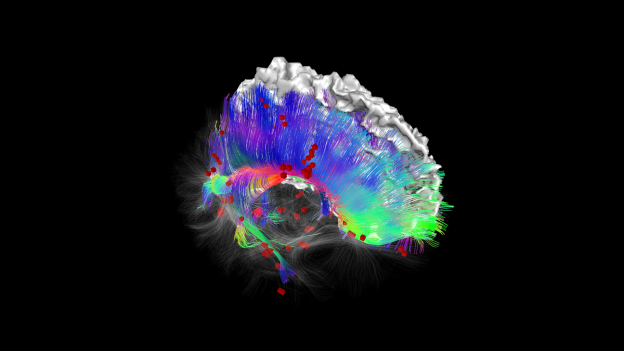 Shows the 3d maps where the white matter tracts are shown in color, representing the direction of that connection (red left-right of the brain, green front-back of the brain, blue up-down of the brain). 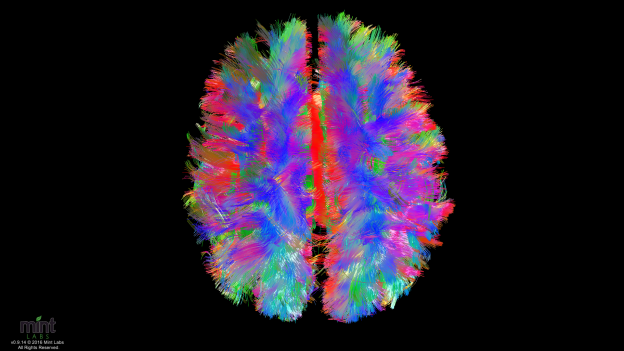 Mint Labs is building “the Google Maps for the brain”. We are an imaging data cloud system that enhances and extracts detailed 3D information out of current simple 2D MRI images. Currently ⅓ of us is affected by a brain disease, and increasing as population ages. It costs $2.6 billion to develop a new treatment, including the cost of failures. The brain is very complex and well protected inside the skull – is is very difficult to evaluate non-invasively what is happening inside. The complex brain networks, where different axons (white matter) interconnect different cortical brain regions, showing the motor pathway, and the corpus callosum, integrating information from both sides of the brain: the right side of the brain is normally associated at expressive and creative tasks; while the left side is considered to be adept at tasks that involve logic, language, and analytical thinking. BrainVis is a free 3D neuroimaging visualization tool with a simple user interface aimed for effective exploration of neuroimaging data towards demonstrating neurobiological findings. Using the Leap Motion (www.leapmotion.com) device, we provide a touch-less interactive way for real-time exploration and visualization of brain maps. Shows the brain of a patient with Multiple Sclerosis, where the white matter tracts have damage lesions, displayed as red boxes. In this video we can see the 3D visualization of the inside of a patient with a tumor. The green and red fibers show the corticospinal tract, which is a white matter motor pathway. The tumor is nearby this pathway, and together with a functional MRI activation map of a motor task (shown in red boxes), the visualization helps to characterize the patient during the presurgical planning. We can see how a tumor (blue mass) in the frontal lobe of a patient, is pushing away white matter tracts in this brain area. Dr. Pablo Villoslada introducing Multiple Sclerosis and how MRI helps in speeding up the development of new treatments for this neurological disease.